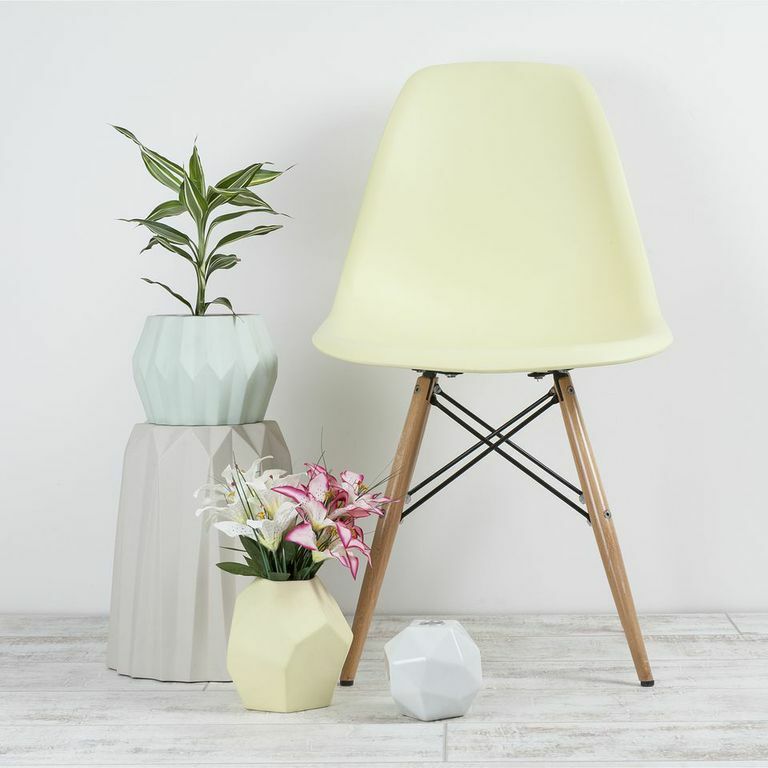 Designer’s plastic chairs vs replica’s, crime or cheap style? I want to focus today only on plastic chairs, like well known Vitra Eames Eiffel chair, Philippe Starck Ghost or Bubble chair by Eero Arnie. Just so the blog finish at some point and I won’t go over 20 000 words and bore you to death;) but also I find that these has been the most re-produced as replica’s furniture. Why? I also will find an answer to that. Firstly, all 3 chair types despite being designed by 3 different designers, and with totally 3 different independent, quirky and unique styles: there is one very important thing in common! 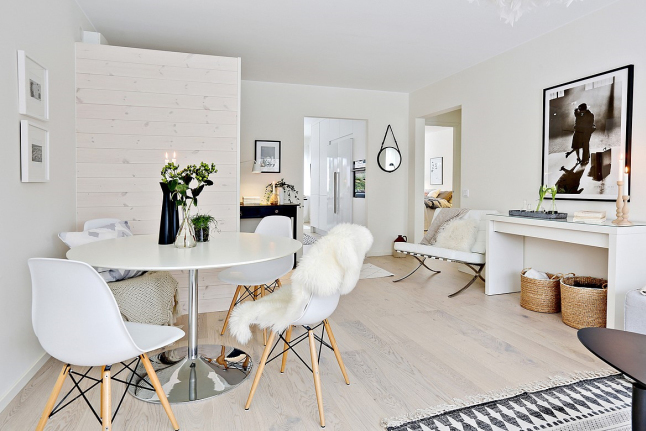 Nearly in all interior inspirations around the internet like Pinterest, Instagram etc. you can find these iconing chairs! I have looked into all designs and their history a little closer. I wanted to understand myself while particularly these has been reproduced so many times as replicas! The main thing, that ties all these 3 are made from polycarbonate or acrylic which we call simply plastic. This moulded chairs has various shapes from organic Bubble to classic Louis XV chair looks. Polycarbonate or acrylic plastic sheets you can buy for example at the Simply Plastics. Plastic is well known for being a cheaper material to produce furniture that is waterproof, long lasting and comes in various size, shapes comparing to the wood where there have been loads of limitations. Most university students usually explore by their projects by buying acrylic or polycarbonate sheets and try to be inventive! There is literally unlimited opportunities and designed than can be created! So, the intention of this designers chairs was to create a ‘’Good design’’ but low-cost furniture made out of plastic which is resistant to any shock, scratches and waterproof. How can £5000 bubble chair can be ‘’affordable’’ though? Myself, being a recent graduate of interior design who invested in future ..ekhm (thrown loads of money for university) I can’t no way afford to buy chairs costing £285 each! I admire good design, I respect designers but I think personally think this isn’t affordable design. 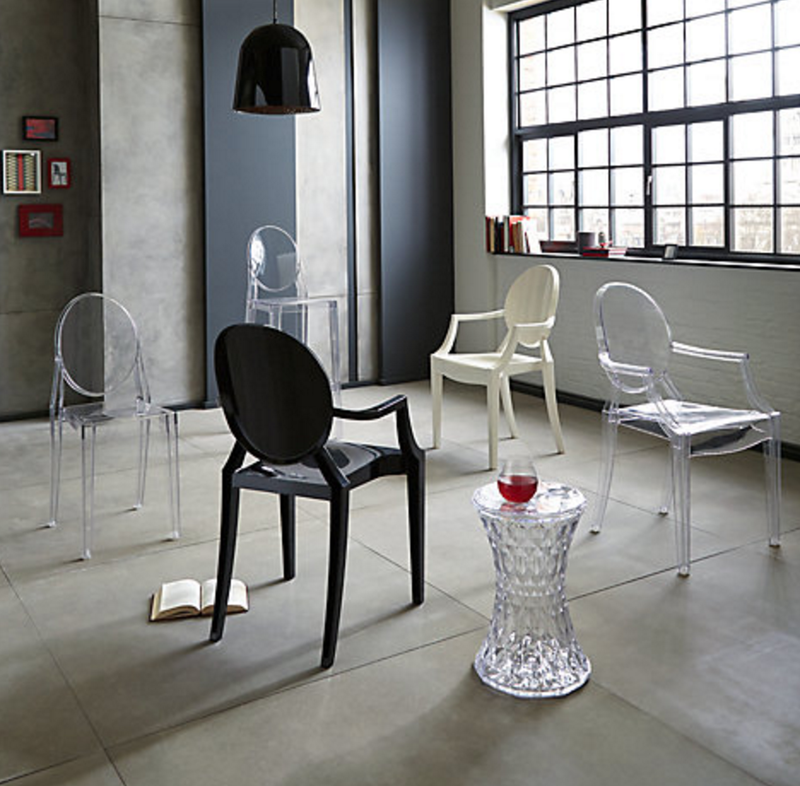 Materials like polycarbonate or acrylic, despite being called not very eco, actually last years and years so even a cheap replica chair will last for many years! Unless really screwed up replica! I can’t afford design! Not yet! People won’t spend their salary on seating, selling their soul, eat nothing for a week so they can have a designer tag. Personally, I think, again all the designers create their inventions, especially Eiffel chair to be a low-cost furniture, how nearly £300 can be a low cost, while this is half a monthly rent of room these days! Mr Picasso said, “Good artists copy, great artists steal.” despite I am not a massive fan of this quote but in this case, I understand why replica’s fled the online stores. People want to have great furniture and everyone want their home to look beautiful. If there is a possibility to make it look that little more like from an expensive catalogue page, they will throw their value’s behind the door and open them for something that make them feel little better. I am standing in between of both, the rich and the poor. As a designer myself, I respect it massively and I know how important is design. Saying that, I am also aware that big companies know exactly who their target market is and who they want their designer to buy and there is nowhere in where I stand. They want their designs to be admired, dreamed of and on poeple’s wish lists. Well, replica’s furniture companies made the lists achievable instead. Fact! Great designers and people who believe in design…they can afford good design! Sometimes I read articles by some important people in the design world, sharing their disgust over replica’s stores, while sharing their own expensive homes on design magazine pages. Replicas are for people who can’t afford but want the design. Since we live in a world of having to have to rent, not being able to afford much, then replica’s designs will be in this world, despite if being a criminal offence in buying, selling or reproducing! Tough prices, tough world! LSA International designs by skilled artisans from Poland. Outdoor Fashion for Camping or Glamping. What to wear?! To match or not to match, an underwear and pyjama dilemma? I love the bubble chair it is so futuristic and innovative and would look right at home in my house. I think the problem is that the word "affordable" is so subjective. I love all the designs but would I be able to afford any of them to fit around my 8-10 seater dining table? No way. I think sometimes it's just an inevitable part of consumerism, the same way the fashion world is always going to offer the high end designer labels, and then the high street alternatives selling cheaper made products inspired by those designers. I totally see what you are saying, it would be very hard for me to part with hundreds of pounds for one chair/table & I love good design too! You make some good points! I fall into the same category as you really – I appreciate good design but just can't afford it at the moment, who can spend £300+ on a chair! ?